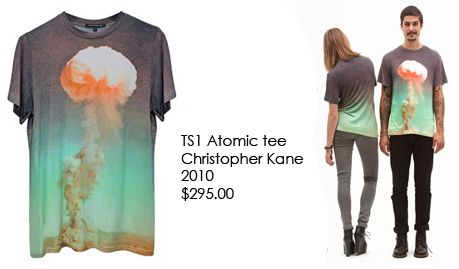 Celebrities like Katy Perry and Lara Stone have worn this tee. My point to this story? Well, I saw magnae Ji Yeon from T-ara and Women’s Generation rock this belt during a performance. This reminded me that I never exactly found out who the belt was by. So I did some research and discovered with the magic of the internet that FREAKING BELT IS ALSO FROM H&M!!!!!!!!!!!!!!!!!!! You believe this…-____- anyway. I don’t think they sell them anymore. Happy shopping though.